Hi, I’m Jeff. 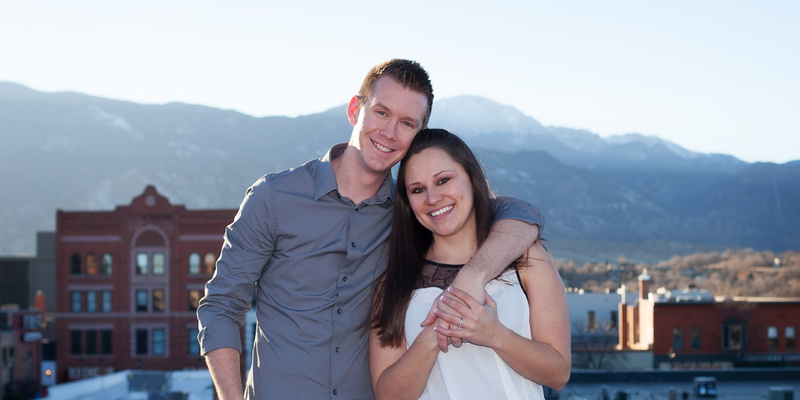 I am a 29 year old guy from Colorado Springs who has a passion for business & personal development, the real estate industry, as well as technology and marketing. I have a beautiful wife, an amazing family, some of the best friends a guy could ever ask for. Family and friends mean the world to me, and spending time with them is one of my favorite things to do. In my free time I enjoy golfing, reading, watching sports, and working out. I am a sinner saved by Christ. My relationship with Jesus Christ is the foundation to everything else in my life, it is what gives me strength. If you do not have a personal relationship with Jesus I highly recommend that you take some time to get to know Him. He will change your life, I know He has certainly changed mine! I was born into a family where everyone is in the real estate industry in some form or another. Growing up I always felt that real estate would be the path I would choose as well, since it was the path I was the most familiar with. When it was time for me to get my first job I considered a number of places, but ended up working for my dad in his appraisal business. It was a great job. It gave me lots of flexibility for the sports I played during high school, and it was something that interested me, which is not usually the case for your first job. However, as I went through high school I realized that I had a passion for entrepreneurship that was as strong as that for real estate. Wanting to be well rounded I decided to go to college and get a degree in Finance so that I would have the money skills needed to run a business some day. I just wasn’t sure what that business would end up being. After graduating with a Bachelors Degree in Finance I was unsure of the direction I wanted to go. Just like it probably does for many entrepreneurs, the word “job” scared me more than I could stand. Rather than getting a traditional 9-5 job I decided to do a few things at once so that I could have the feeling of freedom. I continued working with my parents real estate appraisal company, as well as becoming a real estate agent, and working with other real estate agents to help them with their digital marketing and web development. While each of these things has some great aspects, none of them are my end all be all. I am still in search of my destination, as I assume I will be for the rest of my life. I love to have many things happening at once, and I am always looking for new and exciting opportunities. The purpose behind this blog it to help share my experiences building a business and a life that I love. I believe that the idea of being intentional and focusing on improvement is one of the most important things we can do in our businesses, health, relationships, and all other areas of life.